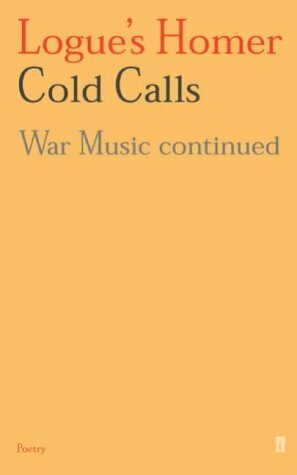 I began writing what has come to be called War Music in 1959. 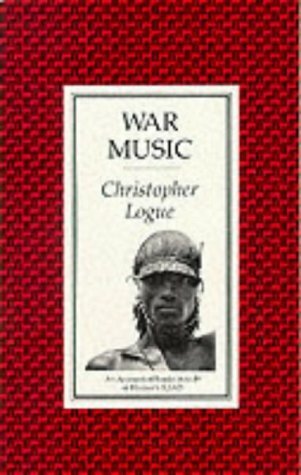 In the decades that followed, me often not looking at the work for two or three years at a time, I added Pax, GBH, Kings and The Husbands moving about inside translations of The Iliad on which War Music is based. 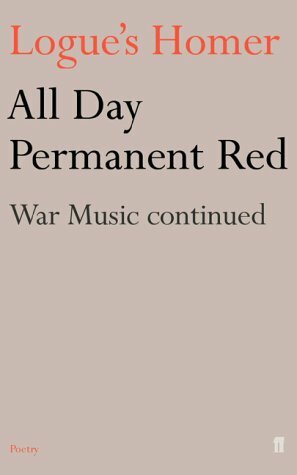 All Day Permanent Red which, narratively speaking follows The Husbands, was written between 2000 and 2002 and is the first part of a section which will lead to Hector's victory over Greece and the attempt by the Greek heroes to persuade Achilles to re-enter the fighting. You hear the whole ridge coughing. Now licking this, now tasting that. My heroes and my host of Ilium. And into the Scanmánder they have soured. And slaughter them beside their bloated ships. Rouse your brave hearts! Do as I do! 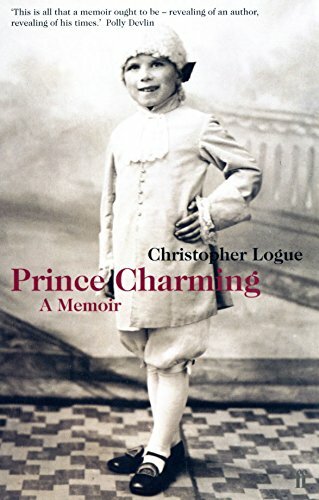 Do as I say! Kill Greece! Followed him through the swathes of hanging dust. Sparks from the bronze. Lit splinters from the poles. As Greece, as Troy, fought on and on. Or are they only alseep? The tears are falling from their eyes. That what you see is like a silent film. The ridge is as it is when darkness falls. as the sun lights up the east. The Isles of Imbros and of Sámothrace? He sees the Islands of the West. He who? Why, God, of course. 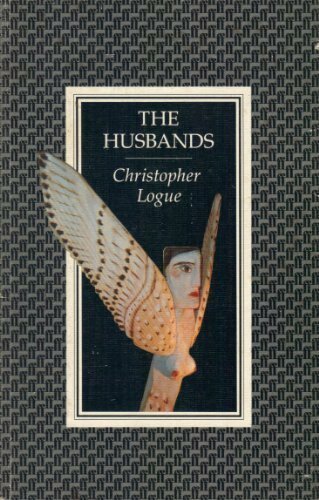 from All Day Permanent Red, (Faber & Faber, 2003), copyright © Christopher Logue 2003, used by permission of the author and the publisher.